NTI Control Room Computers are rock solid, multiple screen workstations with support for 1-12 independent displays. Choice of standard computer case or rackmount chassis. Built for mission critical environments, our powerful control room systems come standard with Intel’s fastest i7 processors, solid state hard drives, 4k resolution and ready for work out of the box. 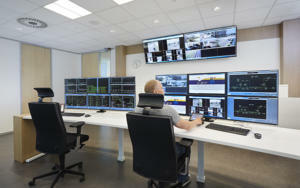 Control Rooms, 911 Call Centers, Video Surveillance, Engineering & Systems Monitoring. NTI multiple display control room workstations are built with only the highest quality components, fastest processors and plenty of memory. 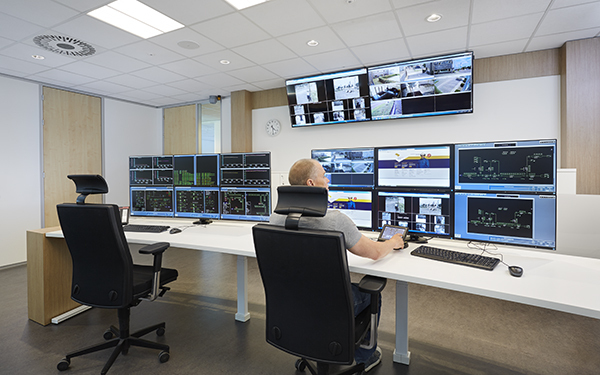 Our systems are not bloated with unnecessary software, only the operating system and necessary drivers for a faster leaner control room system. Add optional freestanding, bolt down, or wall mounts for your monitors if needed. All systems are thoroughly tested and when your system arrives it will be ready to go. Just connect your monitors, install your software and go to work. Consider an NTI control room system today. It will be the most reliable system you have ever owned.